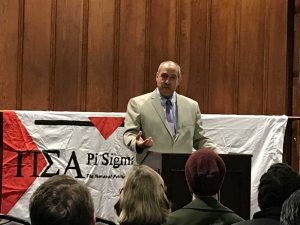 The UCA Department of Political Science’s Alpha Delta Theta Chapter of Pi Sigma Alpha (PSA), the national political science honor society, hosted the “Pizza & Politics” series during Spring Semester 2019. PSA was founded in 1920 and includes more than 500 chapters at colleges and universities throughout the United States. 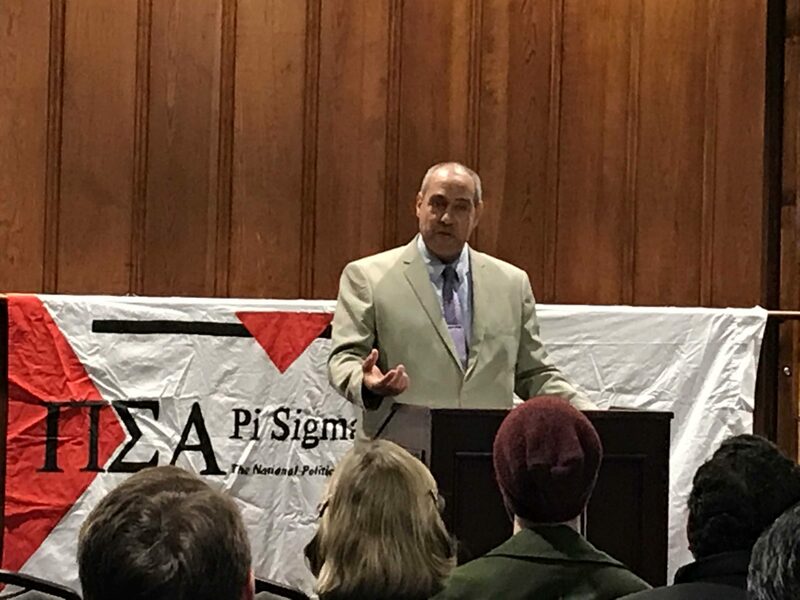 Dr. Tom Williams, Dean of the College of Liberal Arts (CLA), was the featured speaker for the first program in the “Pizza & Politics” series on Thursday, February 21st. 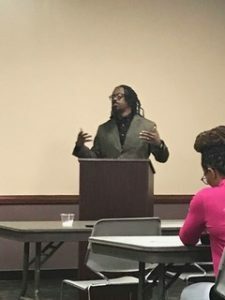 Dr. Taine Duncan, Associate Professor of Philosophy, was the speaker for the second program on Thursday, March 14th, and Dr. Phillip Fletcher, Executive Director of the City of Hope Outreach, was the speaker for the third program on Thursday, April 4th. All interested UCA faculty, staff, and students were invited to attend. 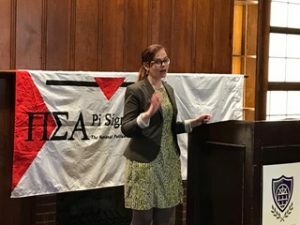 Political Science student Itzel Velazquez served as the President of UCA’s chapter of PSA in 2018-2019. Dr. Heather Yates in the Department of Political Science served as the faculty advisor of the chapter.